Tarun Chugh joined Bajaj Allianz Life Insurance as the MD & CEO in April 2017. A seasoned industry veteran, he has over 23 years’ experience in financial services space, including over thirteen years’ experience in the Indian Life Insurance industry. 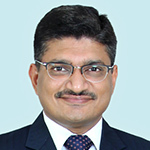 Tarun is a familiar figure in the Indian Life Insurance sector, having headed general management and strategic roles as Managing Director and Chief Executive Officer at PNB Metlife India Life Insurance Company in February 2014. He has served as the Chief Distribution Officer, in addition to overseeing branch operations and marketing in ICICI Prudential Life Insurance. Tarun has also worked as an Investment Banker for 12 years prior to joining the Life Insurance sector. In his multiple leadership roles, Tarun has a proven track record of building relationships and trust with various stakeholders. He is a highly motivated person with the zeal to achieve excellence in all his endeavors as seen in his personal and professional achievements. Tarun is an avid reader and has interests in tennis and travelling. 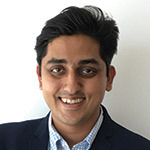 Aditya Save is the Co-founder of Agilio - Asia’s first Digital Transformation consultancy. 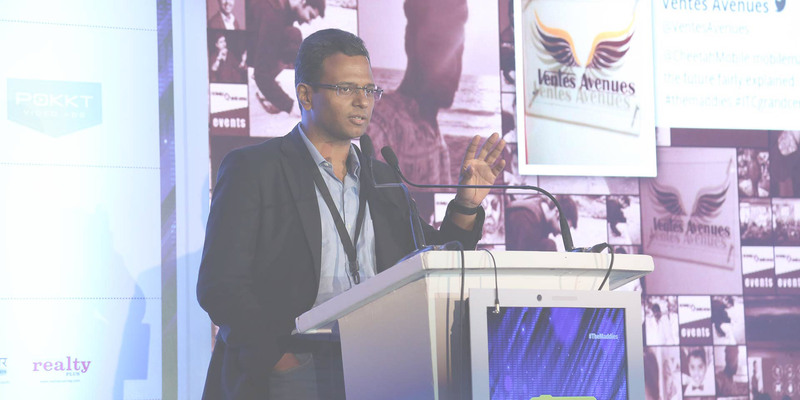 Prior to Agilio, Aditya was the Chief Marketing Officer (CMO) at People Interactive. Earlier, he was heading Marico’s Global Centre of Excellence for Digital and Media covering markets across Africa and Asia. For over a decade now, Aditya has been actively involved in the Digital & Mobile domains. 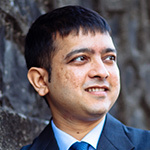 He was a member of the inaugural Mobile Marketing India council & has spoken at multiple MMA forums around the world. His paper on Mobile Marketing has been published by the IDM in the UK. He is an early-stage investor & actively mentors startups in the Consumer Tech space. 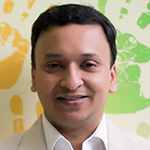 Apurva Chamaria is the Vice President and Head of Corporate Marketing for HCL Technologies, a 7 Bn US$ global IT major. Under his leadership HCL became the fastest growing brand in the Interbrand top Indian brands list for 2 years in a row (No. 17 in 2016) and was ranked at No.378 and valued at 4.4 Bn US$ in the Brand Finance Global 500 2017 league table. 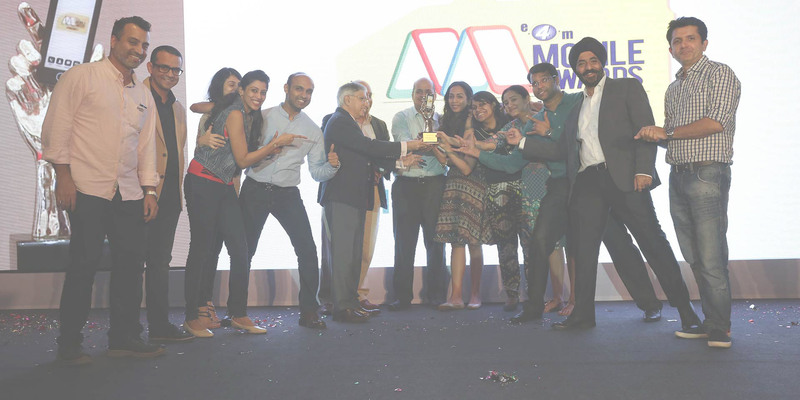 In the last 3 years the HCL campaigns have won 110 prestigious global and regional marketing awards. 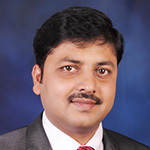 In his 11 years at HCL, he’s performed various roles including in Sales, Marketing and Strategy. He has worked in various sales & marketing positions at Ranbaxy Laboratories. 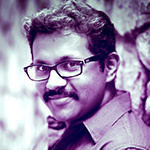 He’s also been a journalist and a client servicing executive at an advertising agency. In various parts of his career he’s worked in Asia-Pacific, India, Africa, U.K. and North America. In 2016, he was awarded the “Marketer of the Year” by World Leadership Forum, “Digital Marketer of the Year” by IAMAI and “B2B Marketer of the Year” by Paul Writer. He's regarded as a thought-leader on “digital transformation” and is regularly quoted in publications. He’s a sought after speaker and has key-noted at TED x, IAMAI MarCon, DMAI GMAW, Oracle Cloud World, LinkedIn Tech Connect, Microsoft Ignite, Paul Writer GIIMS, Hindustan Times Top 50 Brands, Exchange for Media Pitch Top 50 Brands etc. and teaches a full credit digital marketing course at the Indian Institute of Mass Communication (IIMC) & Great Lakes Institute of Management. He’s a member of the advisory board at Mudra Institute of Communications (MICA), Ahmedabad. He’s a columnist for the Pitch and Digital Market Asia magazines. His book “You are the key – unlocking doors through Social Selling” (Bloomsbury) hit # 2 in the Amazon India Best-Sellers list* within 20 days of being launched in Jan 2016 and is currently a best-seller on the WH Smith best-seller list as #1. It was also recognized by Prime-minister Modi for contributing to Digital India. Government of India recently appointed Apurva as an advisor to Invest India, Department of Industrial Policy and Promotion. He’s an alumnus of Mayo College and the Harvard Business School and currently pursuing his PhD in Digital Engineering from the IIT-Delhi. Chandrahas has been influential in building ACER’s consumer business where he has been responsible for overall P&L, sales and marketing across multiple categories in South Asia. He is now responsible for facilitating growth, sales and marketing strategy. Panigrahi brings with him a go-to-market experience to ensure the continued growth momentum of ACER’s business across the region. During his tenure, Chandrahas led the expansion of ACER into a full service entertainment brand, monitoring market Intelligence and formulating and implementing important policies. Under his leadership, ACER has built strong associations with its channel partners and customers to increase its brand presence across the length and breadth of the country. 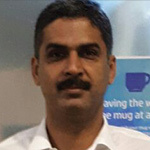 Mr. Panigrahi comes with 15 years of rich industry experience with leading companies in the technology domain spanning components and personal computing, having worked in different profiles ranging from consumer business, retail management, product management, marketing and distribution. 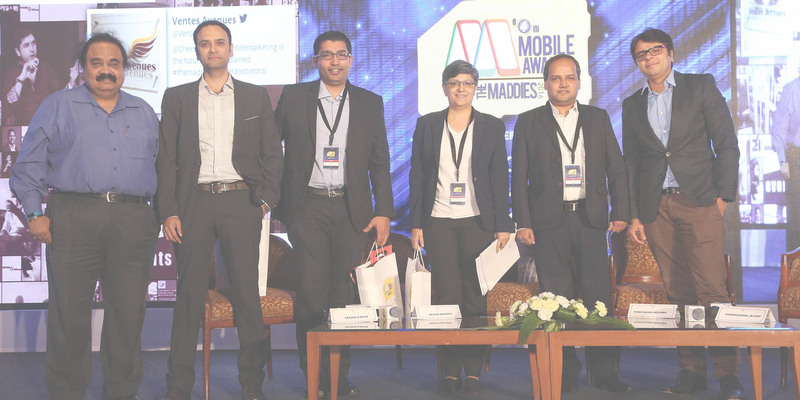 Chandrahas is poised to leverage the existing successful platform and redefine marketing with his thoughtful analysis and insightful perspective. 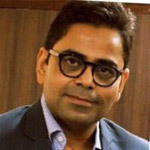 Chief Digital Officer, Kotak Mahindra Bank Ltd.
Deepak Sharma heads Kotak Mahindra Bank’s digital initiatives, and is responsible for digital transformation and digital-led businesses of the bank. He is also responsible for digital initiatives across lending, payments, investments, insurance, SME & Institutional banking segments along with website, social and digital banking channels. 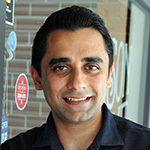 Deepak also leads Innovation Lab, Fintech partnerships and new product development. Under his leadership, Kotak launched several innovative and global first products like Jifi, Hashtag banking, Bharat Banking, M-Store & Kaypay. Deepak believes in constant innovation and focuses on building business models which are customer centric and disruptive. Deepak has worked across various international markets and brings global perspective to his business. Prior to this, he was responsible for setting up the Bank’s highly successful Non Resident Indian (NRI) & International Remittance business. Deepak also played a key role in launching the Bank’s affluent banking programme - Privy League. With over 22 years of experience, Deepak’s professional tenure spans across the banking, telecom and service verticals. 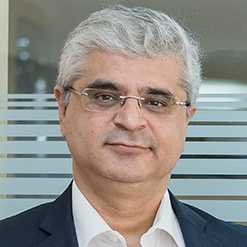 Prior to joining Kotak, he was part of the leadership team of Consumer Banking at Standard Chartered bank from 2003 to 2008. As National Head for Corporate Business, he was responsible for building the corporate payroll and Wealth Management business. Deepak has completed an advanced programme in Strategy from IIM Calcutta & Lead Certified in Corporate Innovation from Stanford GSB. He is also part of various trade and business committees and writes on subjects related to business. 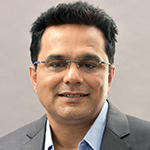 Dhiraj Soni is leading Personal Systems (PC) Marketing for HP India. 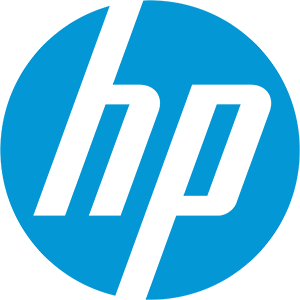 Prior to joining HP in Feb 2011, Dhiraj was with Microsoft in Windows phone business & had a short stint in HT Media also. 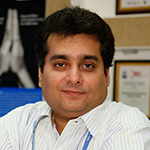 Dhiraj was instrumental in the launch of Sony Ericsson in India as the Marketing lead from July 2002 to Jan’2010. During this period, the brand & the business grew to be a leading player in the mobile phone business. Between Aug’2000 till July 2002, Dhiraj was with Ericsson Mobile communications and AirTel, Punjab as Marketing Manager. From 1996-2000, Dhiraj was with Sony India as Product Manager for color TV’s, Video Camera & Digital still camera business. He started his career with Stroh’s Beer and was part of the team that launched the brand in India. Dhiraj is an Electronics graduate from Hansraj College, Delhi University & has an MBA from the Institute of Management Technology (IMT). 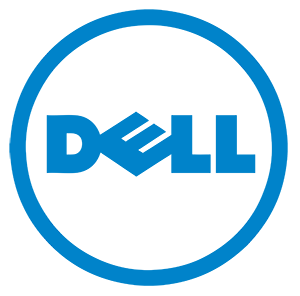 Associate Vice President – Marketing, Bajaj Allianz Life Insurance Co. Ltd.
A sales & marketing professional, Ranjan Dutt joined Bajaj Allianz Life Insurance Co. Ltd as AVP – Marketing in September 2014. In his role, he is responsible for brand strategy, market research, digital marketing & transformation, corporate communication and activation. Ranjan comes with substantial experience of over 20 years spanning across industries, geographies, cultures and functions. He has been associated with global FMCG giant Coca Cola India, IT /tech & telecom giant like Satyam Infoway & Idea Cellular, Life Insurance brands like ICICI Prudential & TATA AIA Life in various capacities. In his work stints, Ranjan is known for his ability to envision and create successful outcomes in complex situations and 100% commitment to drive sales, profit and market share growth. He is skilled in understanding any business model, its key levers & creating a blue print for success. Recognized as an innovative & creative Life Insurance sales & marketing professional, Ranjan is of the firm belief that the future of Sales & Marketing revolves around the Digital world both in terms of using the internet & social media as also technology to create a smart & savvy distribution. In his spare time, he blogs on topics related to Life Insurance Sales, Team Building, Leadership, Goal Setting & Product Marketing. 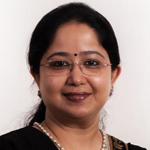 Ritu Gupta leads the Brand Marketing team for Consumer and Small Business (CSB) for Dell India. She is responsible for developing the overall Brand Strategy for Dell in India, across its product portfolio, making Dell as the Brand of Choice for consumers, be it families, youth or working professionals. 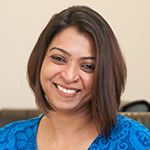 In addition to her responsibilities as marketing lead, Ritu is also the India spokesperson for DWEN (Dell Women Entrepreneurs Network), which is a global platform founded on the premise of creating and fostering a community of like-minded women founders who are looking for ways to grow and who need a venue to exchange ideas, learn and do business with one another to make it happen. A Marketing professional with over 20 years of experience across industries, like - Consumer Research (AC Nielsen), Durables (Whirlpool), FMCG (Dabur) & Financial Services (ICICI Bank), she has worked extensively in Delhi (her home town) & Mumbai. Ritu has a Post Graduate Masters in Management Studies from Mumbai University & is an Economics Graduate from Delhi University. Ritu has been with Dell since 2011. She is based out of Bangalore at Dell India headquarters. 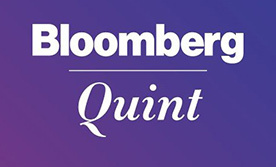 Saket heads the digital business at Bloomberg|Quint, India’s premium multi-platform business news network. He brings in 15 years of experience in building new ventures, growing consumer brands and scaling up businesses. From digital video to TV, publishing and advertising, from news to entertainment across large public listed companies and start-ups. Previously, Saket was CEO at #fame, the award winning online video entertainment start-up. Prior, at Network18, he head up marketing and managed market-entry for global brands like CNBC, History Channel, Forbes in India. In corporate strategy at Network18 & India Today Group, he executed high impact corporate JVs, strategic partnerships and managed business planning, corporate marketing, communications and other corporate initiatives. He has marketed iconic Hindi news brand Aaj Tak and worked on Coca-Cola at Leo Burnett. Saket has an MBA from The Hong Kong University Of Science & Technology (HKUST Business School), a PGDM in brand management from MICA and a B.A. from Hindu College, University of Delhi. In her role as the Head, Marketing and Digital Initiatives, A+E Networks|TV18 (the JV between A+E Networks and TV18), Sangeetha Aiyer has played a significant role in spearheading the growth strategy for the JV, specifically the brand History TV18 and FYI TV18. From leading the launch strategy of History TV18 and FYI TV18 to formulating the current brand strategy, she has played a key role in pushing the envelope with respect to introduction of new content sub-genres, scheduling stunts to maximize ratings, develop new & winning time bands, innovative promo planning and bespoke productions, in addition to leading the thinking in the marketing function. Under her watch HISTORY TV18 blossomed into a digital powerhouse delivering over a billion impressions digitally, annually, dwarfing most music labels, film studios and general entertainment channels and in the process winning multiple awards nationally and globally. Her unending efforts lead to the creation of a stand-alone digital unit within the JV, and is now tasked with conceptualization, strategy and P&L management. A wearer of several hats, Sangeetha also supports the branded content function to create innovative sales support strategies to achieve significant deltas in revenue. From conceptualizing and executing display & digital sales solutions to long format branded content, she is adept at identifying revenue growth opportunities. 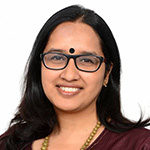 With a career spanning over 15 years, Sangeetha is an experienced marketer with comprehensive experience across industries including radio, retail and advertising and has worked with esteemed organizations like Times Network, Reliance Media Network, Star and Arvind Brands. She has been felicitated with the following honors for her contribution in marketing & brand excellence initiatives at the CMO Asia Council 2014 & World Brand Congress 2013 and 2014. With a strong belief that perception marketing and target audience management is industry agnostic, she brings insightful and forward thinking leadership in a competitive environment. She constantly endeavors for improved business performance and takes pride in managing teams with high standards of business ethics and integrity. She holds a B. Com. (Hons) from the Indian Institute of Management & Commerce, Osmania University. She has also obtained her Post Graduation Diploma in Marketing from the Institute for Technology & Management (ITM Navi Mumbai). With over 15 years of experience in brand and consulting, Sanjay’s expertise lie in delivering growth, evangelizing strategic brand shifts and building power brands. Sanjay is passionate about leading the growth, innovation and people agenda. Prior to joining Uber, Sanjay was the Chief Marketing Officer at Urban Ladder. Prior to that he had stints with Marico and Accenture. 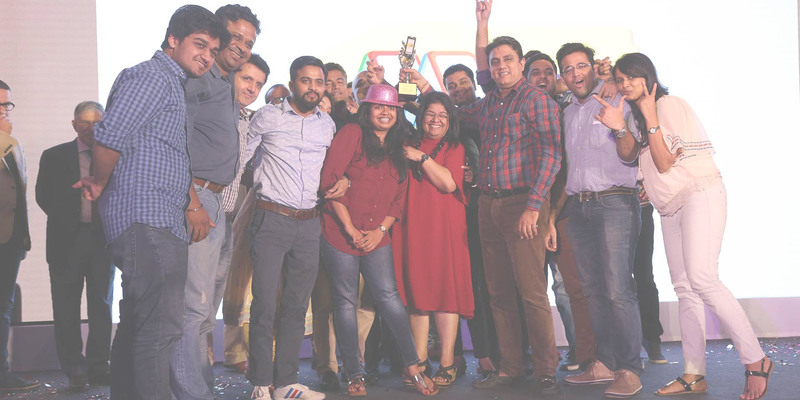 During his 10-year stint with Marico, he led the charter for Saffola’s journey from a single category niche brand to a food brand strengthening its association with preventive heart care. One of the sharpest marketing minds in the country, Sanjay was recognised as India’s ‘Top 40 Under 40 Hottest Business Leaders’ in 2015. Several marketing campaigns created by him have also won recognition at EMVIE and Effie, leading advertising and media awards in the industry. In this role, Sanjay is responsible for Corporate Brand building; Strategic Planning; Marketing Strategy; Marketing Planning, Product Marketing; Marketing Communication and Brand Management for Intex Technologies products across the globe. With more than 20 years of exemplary professional career, Sanjay brings a wealth of knowledge and understanding of the Indian Manufacturing and Engineering industry in the field of Marketing, Strategy, Branding, Ground activations, Media relations, Media buying in addition to Distribution, Service and key Account Management. Prior to this assignment, Sanjay has worked in diverse cultures including European, American, Indian, Japanese and Korean and has served in Multinationals like GE, Honda, Toyota and Hyundai. Prior to joining Intex, Sanjay Gupta served in Nissan India as the Vice President - Marketing. Mr. Vishal Parekh is the Marketing Director of Kingston Technology India, the leading brand in memory modules and data storage. He has lead Kingston in India for more than 10 years and has been a key architect of the company’s strategic vision. Mr. Vishal, with his proven leadership skills and marketing expertise has received numerous awards by industry associations and media. He has successfully repositioned Kingston as a lifestyle technology brand. He is a strong believer of Relationship Management and has used innovative Marketing strategies both for Trade and Consumer, to build Kingston’s brand equity that has kept the Brand a step ahead of its competition. More names to be added..